Season Extended!! 7 day a week operation until March 31st, closed April 1st to April 5th, RE-OPEN Saturday April 6th and Sunday April 7th! The Skating Loop, Tube Park, and Hockey Rink will be closed for the rest of the season due to warm weather. Let’s begin with a bit of history. Back in the 40’s intrepid downhillers began trekking into the region for winter camping and ski holidays. The conditions were good enough to warrant a group of Penticton residents to develop a more easily accessible ski hill in the late 1950s. Because of its more varied terrain, these ski enthusiasts opted to clear the runs on Beaconsfield Mountain. After a single-lane road was built, Apex Alpine officially opened on December 10, 1961 and featured a poma-lift. 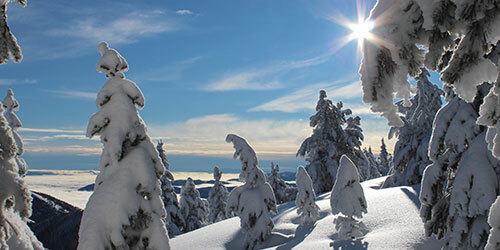 Locals enjoyed skiing and hiking beyond the poma to take in some of what has become known as Okanagan Champagne Powder. Over time, lift capacity has steadily increased at Apex and the poma has been relegated to the distant past. Today, Apex Mountain Resort is serviced by a high-speed detachable quad chair, a triple chair and T-bar. A Magic Carpet has been added for beginners and tubers. From the early 1990s, access to the mountain’s steep chutes and south powder bowls were made possible by adjusting lift configurations. 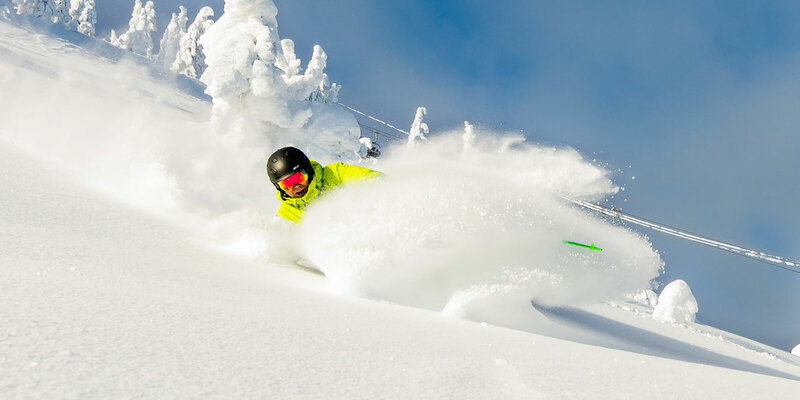 Ideal weather conditions conspire to create incredible, light champagne powder. 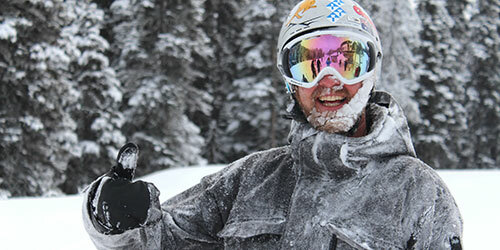 Apex receives the perfect mix of large amounts of precipitation, combined with low humidity and the dry champagne powder snow we’re famous for, is born! 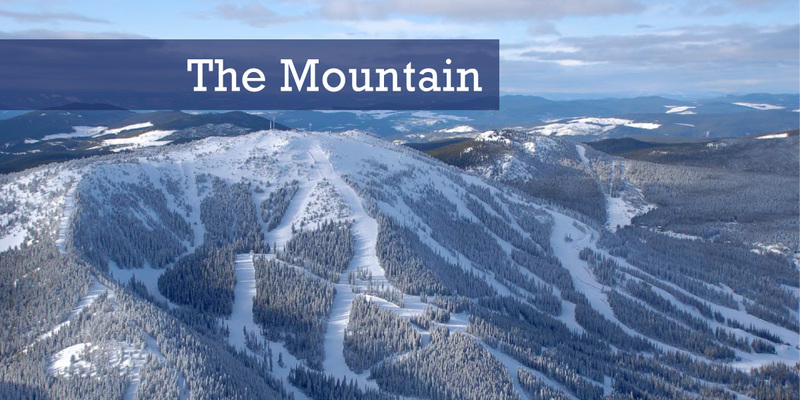 And because Apex Mountain Resort is the only mountain in the Okanagan that faces northeast, those beautiful powder snow crystals are less affected by the sun and the famous light, dry powder snow can survive for days after a snowfall. 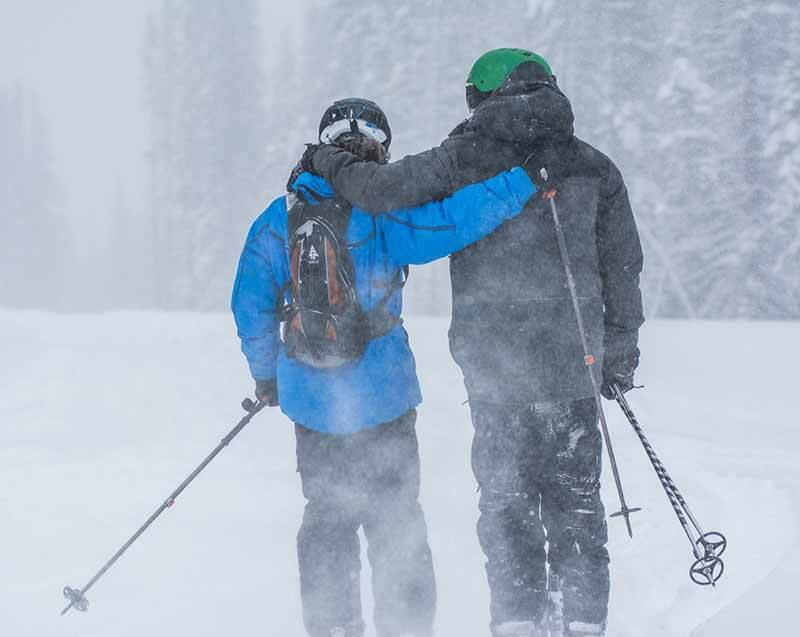 With an average of 600 cm of this special snow falling each season, Apex provides the moderate winter conditions and dry power snow craved by skiers and snowboarders alike. Apex also has the most comprehensive snow-making fleet in the region. Apex currently operates 12 snow guns that provide top-to-bottom snow-making capability for over 2,000 ft of vertical. Because of this resource, the resort is able to operate its early season training camps each fall. Apex hosts training for elite athletes from several countries as they prepare for the World Cup circuit and other top racing disciplines. The backcountry is not patrolled. Once you leave the boundary of the resort, you are at your own risk. Avalanche awareness and training are required. Apex Mountain Resort (1997) is in no way, liable or responsible once you venture outside the controlled recreation area. 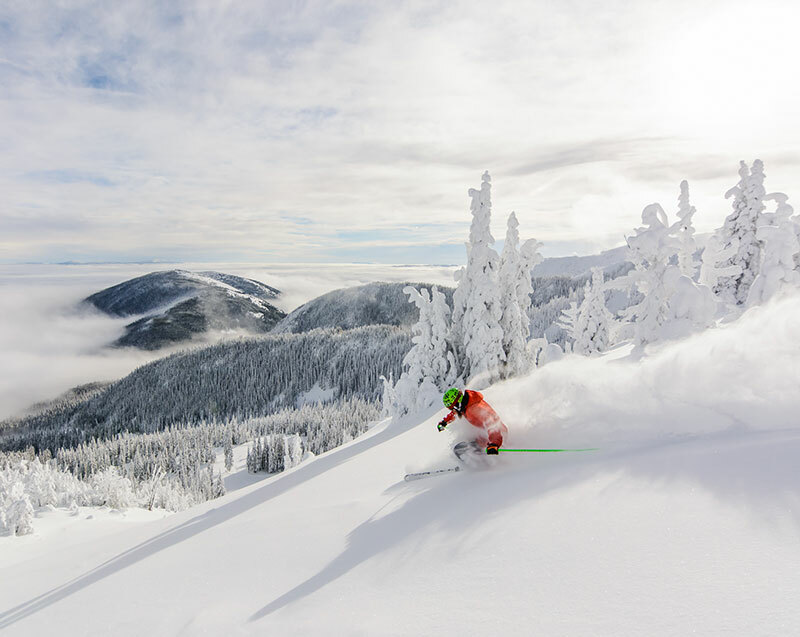 Apex Mountain Resort is situated on the west side of Okanagan Lake giving it the perfect blend of sunny skies while also receiving lots of the famous Okanagan champagne powder. Our geographic location of our mountains contributes to more sunny days with high visibility. Come and discover what the locals already know! Did You Know? Hundreds of hectares of pristine vertical can be accessed from the lifts at Apex. Be prepared, ski with care and welcome to slack country. © 2017 Apex Resort. All Rights Reserved. | Web Design By Bang! MediaWorks Inc.
25% off of lift tickets, and if you have a season pass to any mountain in B.C then you receive a $25 lift ticket!!! Quad, Stocks, and Magic Carpet will be in operation from 9 until 3:30 today (T-bar will be closed for the rest of the season). The Skating Loop, Rink and Tube Park are closed for the season. Enjoy the last day of the season, thank you all for a great winter! 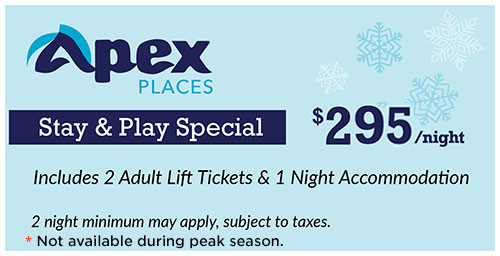 25% off of lift tickets, and if you have a season pass to any mountain in B.C then you receive a $25 lift ticket!!! Quad, Stocks, and Magic Carpet will be in operation from 9 until 3:30 today (T-bar will be closed for the rest of the season). The Skating Loop, Rink and Tube Park are closed for the season.